Cable TV said goodbye to one of its premiere drama series last night, when FX sent The Americans off to their bleak and dismal finale. 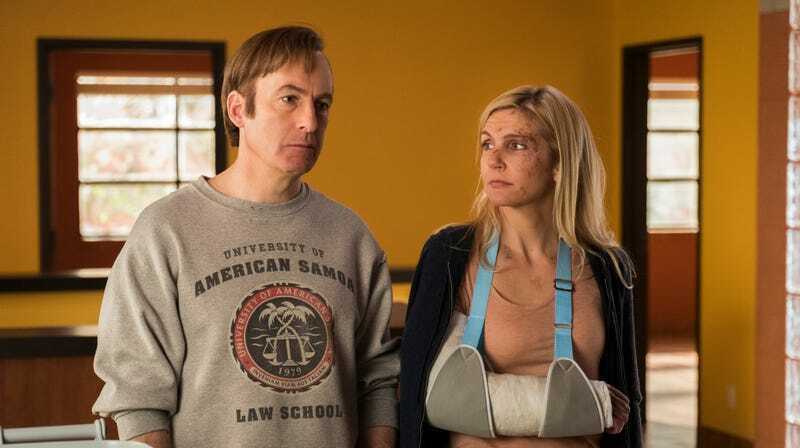 But just as one bracing exploration of human deception (of ourselves, and others) fades, another prepares for its return, with Deadline reporting that AMC has set a fall return date for Better Call Saul. The Bob Odenkirk-starring series is set to slip its way back to TV on August 6, where it’ll also do intro duty for the network’s new “modern fable” Lodge 49.